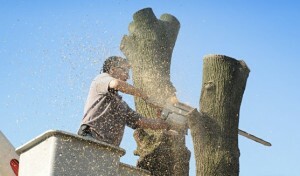 Do you have dead or dying trees and need a Bronx Tree Removal Company to come and remove the tree from your property? Our team of tree professionals offer the highest level of tree removal service in the Bronx. Over 50 years of experience and commitment to doing the job right the first time, safely, is what our reputation is built on. Property owners in the Bronx trust our tree professionals to handle any tree removal or tree care project they may have. Our clients appreciate our hard work and dedication to service excellence, and that we have their best interest in mind, and heart all of the time! Our work is efficient, affordable, and safe. We never leave a mess when the job is complete for you to have to clean; or more importantly, for your neighbors to have to clean and give you hell over! Removing trees from your property is a dangerous task that requires the help of Bronx tree removal experts. Don’t cut corners when cutting dangerous trees from your property, let our tree professionals get the job done right the first time. Our company will make all of the difference and we stand behind all of our work. Branches that can fall, trees that can come down. These are serious situations that must be dealt with fast. When there is a risk of a tree falling on your property you need to call a tree removal company fast. Not every tree company can handle every job. It is important that they have the right team, the right tools, and the heavy machinery to remove the trees from your property. Why take chances when you can hire the very best tree company in the Bronx? If you are looking for a Bronx Tree Company to assist you with all of your tree removal and tree services needs, give us a call now at 347-956-4330. We are Bronx Tree Removal experts.